NEW YORK -- The Democratic group "Fight Back California" is taking cues from Hollywood in its quest to unseat Republican Rep. Devin Nunes. The independent expenditure campaign Monday launched a new ad campaign attacking Nunes, posting three billboards along Highway 99 - which runs through his congressional district. The ad, titled "Three Billboards outside Fresno, California," accuses Nunes of advancing his own career in Washington and seeking notoriety on television while neglecting his job representing the district. 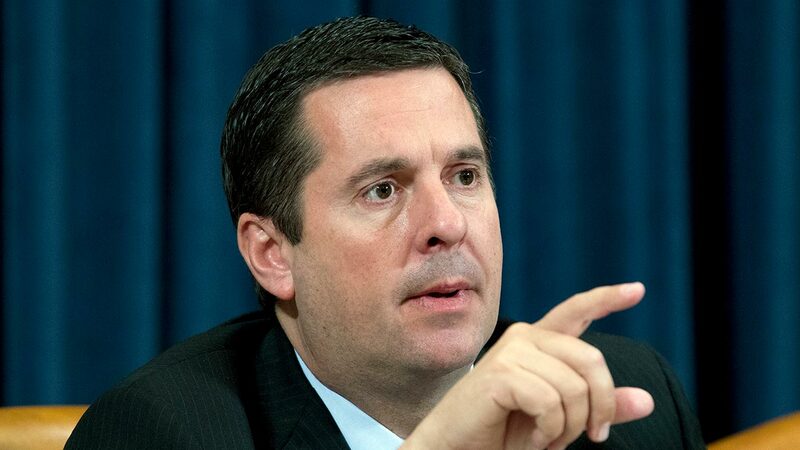 "Why is Devin Nunes hot on Russia..." reads one of the billboards, followed by a second one that reads "While farmers get burned by a trade war with China?" A third one reads "Congressman Nunes, how could you forget us?" The district includes parts of Fresno and Tulare counties and voted for President Trump in 2016. It's a traditional Republican stronghold in California, and Nunes - who has become a GOP favorite for his work criticizing the Russia investigation into the Trump campaign as chairman of the House Intelligence Committee, and a regular fixture on Fox News Channel - has until recently been expected to win the district. But a sudden influx of cash to the campaign of Democrat Andrew Janz has upped blue hopes of a battle for the seat. Neither Nunes nor his campaign has responded to a request for comment. The group behind the billboards is also reportedly planning to spend more on television and digital against the congressman in the district, one of eight districts it's targeting ahead of the primaries and into the general election.